Crinkled voile tailored panel is made with a full 5" bottom hem and selvedge side hems. Stated lengths are exclusive of header. Colors: Burgandy, Chocolate, Taupe, Gold, Sage, Blue Mist. Machine wash cold water, gentle cycle. Do not bleach. Line dry. Touch up with warm iron if necessary. 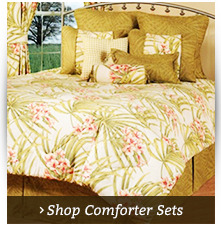 Imported by Lorraine Home Fashions. Colors: Burgandy, Chocolate, Taupe, Gold, Sage, Blue Mist, White, and Eggshell. 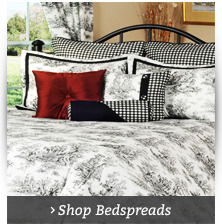 Crinkled voile is embellished with matching faux crystal bead trim. Colors: Burgandy, Chocolate, Taupe, Blue Mist. 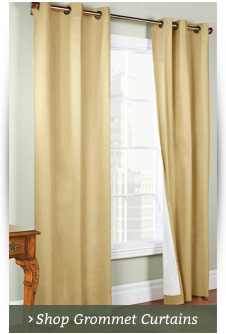 Curtain panels are not included. Scarf is 216" long with selvedged sides and 1" hem on each end. Colors: Burgandy, Gold, Sage, Blue Mist, White. LIMITED QUANTITIES. 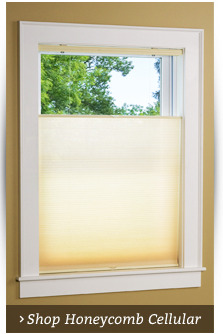 Elegant Crinkled Voile Tailored Panel is made with a full 5" bottom hem and selvedged side hems. 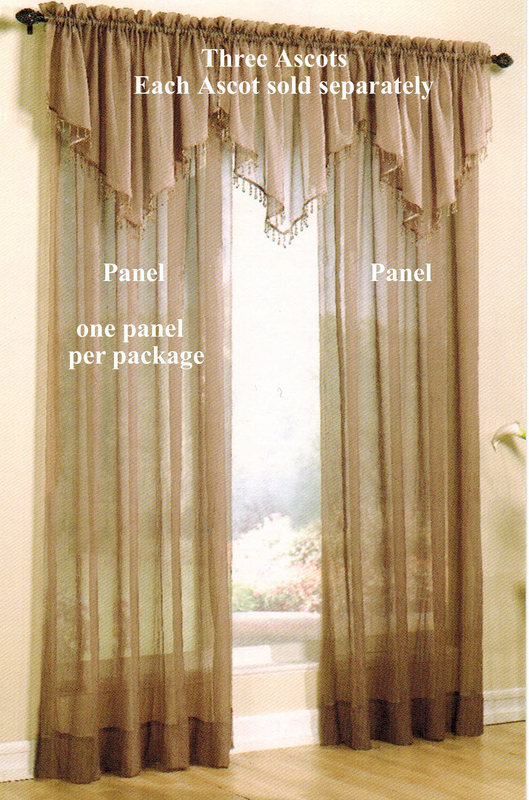 Top treatments include an Ascot Valance embellished with matching faux crystal bead trim and a 216" Scarf with selvdeged sides and 1" hems on each end. 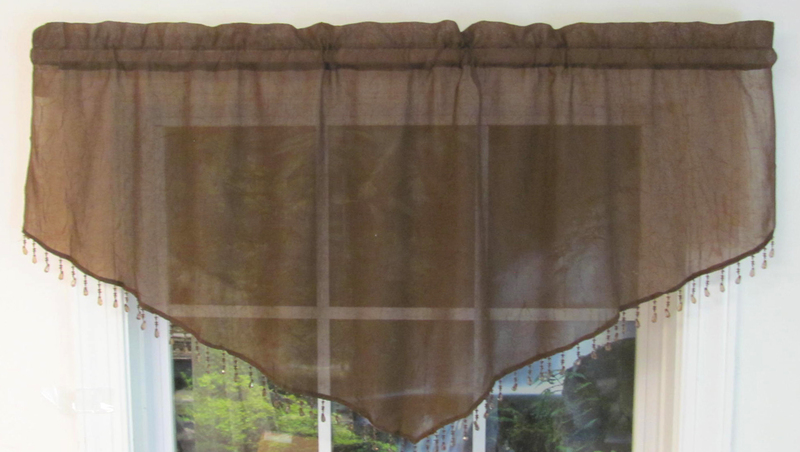 Crinkled Voile Panel is 51" wide and offered in 72" 84" and 95" lengths. Stated lengths are exclusive of header.